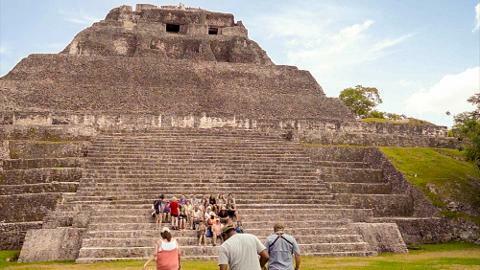 Xunantunich was the first excavated Mayan site in Belize that was opened for the public. Though it is smaller compared to the other Mayan sites, it consists of one of the tallest structures. The huge statue of the Sun God, El Castillo, and the 130-foot tall pyramid are a couple of structures that attract visitors. Xunantunich means “stone Woman” or “Maiden of the rock” in the Yucatec dialect. These names are derived from the image of a woman depicted in one of the paintings. These ruins represent the period of AD 650- 1000 of Mayan civilization when the people had mastered the art of construction. Residential structures spread over 22 acres were found in this site. 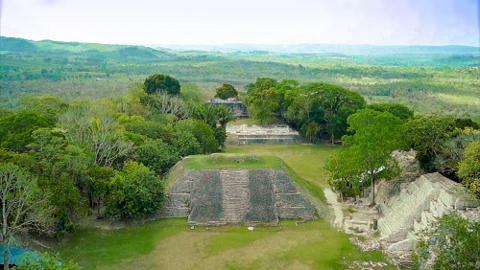 It seems Xunantunich was abandoned in AD 900 and was again occupied in post classic period. Castillo, a 40m tall building, is one of the tallest Mayan buildings in Belize. The causeways, ball courts and platform mounds excavated here prove that they were far ahead of their generation. 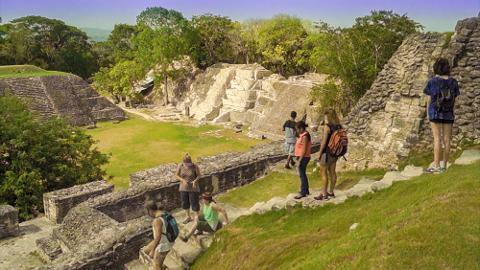 The three most remarkable segments of Xunantunich are the elite residential structures, the middle class residential structures and the ceremonial center. The six plazas of the city were surrounded by 25 palaces and several temples. Very brutal games were played in the ball court complex where the losers and winners were awarded in a most awkward manner. Getting There: The adventure begins at 8:00AM (unless done as a combo in the afternoon) on a mere 10 – 15 minutes’ drive onto the village of San Jose Succotz. Here we will cross the Mopan River via an old-fashioned hand-cranked ferry. All passengers must alight the vehicle while crossing. Having crossed the river, we have a 3 minutes’ drive up to the park’s parking lot where we unboard the vehicle, register at the park’s office, then begin our exploration. A short walk up to the site will cover your guide’s briefing on safety procedures and what to expect. 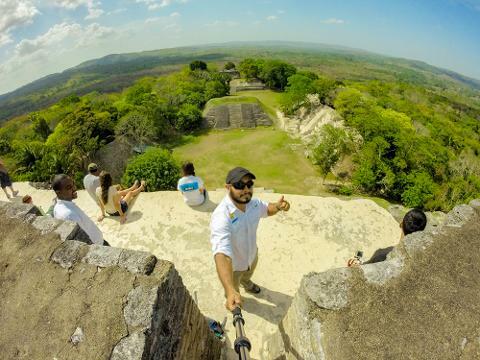 At Xunantunich: Upon arrival at the site, you’ll be amazed at how impressive the Temple of El Castillo (the main temple) actually is at a remarkable 120 feet in height. Pay close attention to the history of this once royal center of ancient civilization as your guide walks you through the site. 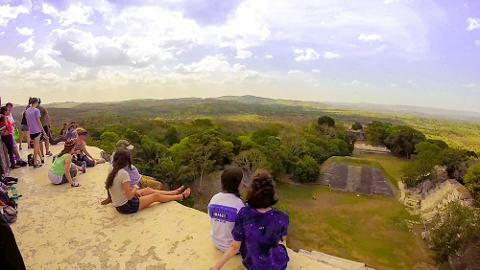 Feel free to climb to the top of El Castillo if you’re not afraid of heights. There you’ll have a jaw-dropping panoramic view of the surroundings which encompasses part of Guatemala, Benque Viejo Town, and San Jose Succotz among other areas. Be careful coming down from the pyramid as you make your way over to the ancient ball court. Imagine the excitement happening in real time as your guide paints a vivid picture of how the popular Mayan game of Pokatok was played. On site you may get to see spider monkeys and, depending on the time of the year, even howler monkeys. An on-site museum will give you an overall idea of this ancient city’s actual size. Departing the site: After your tour at Xunantunch, we make back down to the river crossing, once again exiting the vehicle and boarding the hand cranked ferry. If you are doing this tour as a combo, we make our way onto Rumors Resort where we’ll have lunch. After lunch, we move on in search of our next adventure. What to Bring: Sunscreen, bug repellent, sun glasses, hat, solid hiking shoes, camera, water an adventurous attitude. 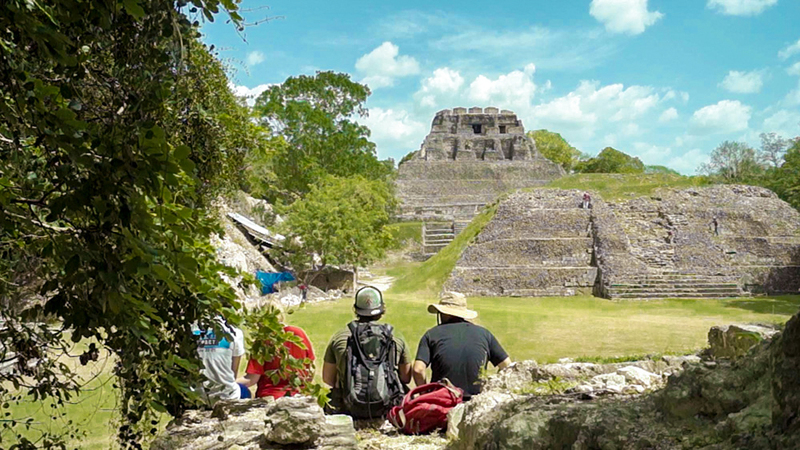 Note: Light physical activity will be required for those who wish to explore the Mayan ruins on foot. Please wear appropriate walking & climbing shoes. This tour is suitable for all ages.